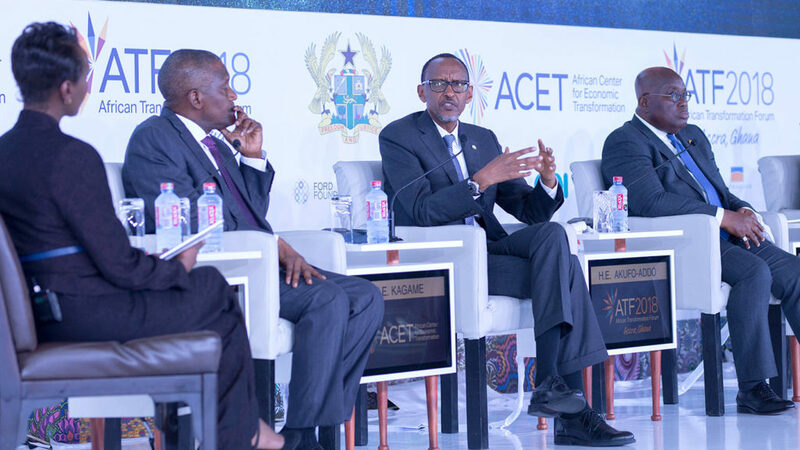 Two of African development’s rising stars shared their understanding of a broad range of challenging issues during the recent African Transformation Forum and painted an exciting picture of the continent’s future. Left to right: Sophie Ikenye, BBC Journalist; Hon. Ken Ofori-Atta, Ghana’s Minister of Finance; Dr. Vera Songwe, UNECA Executive Secretary. 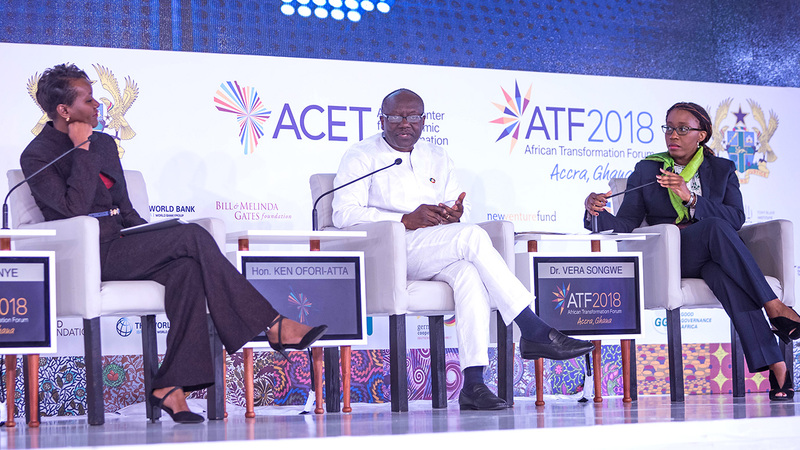 One of the highlights of the recent African Transformation Forum was a moderated dialogue between the UN Economic Commission for Africa’s Executive Secretary, Dr. Vera Songwe, and Ghana’s Minister of Finance, Hon. Ken Ofori-Atta, both internationally respected banking executives. Songwe, a former International Finance Corporation regional director, is the first female to head the ECA. Forbes listed her in 2013 as one of “20 Young Power Women in Africa”. Ofori-Atta on the other hand is a co-founder of Ghanaian investment banking firm, Databank, and the current holder of the African Development Bank’s prestigious African Finance Minister of the Year award. 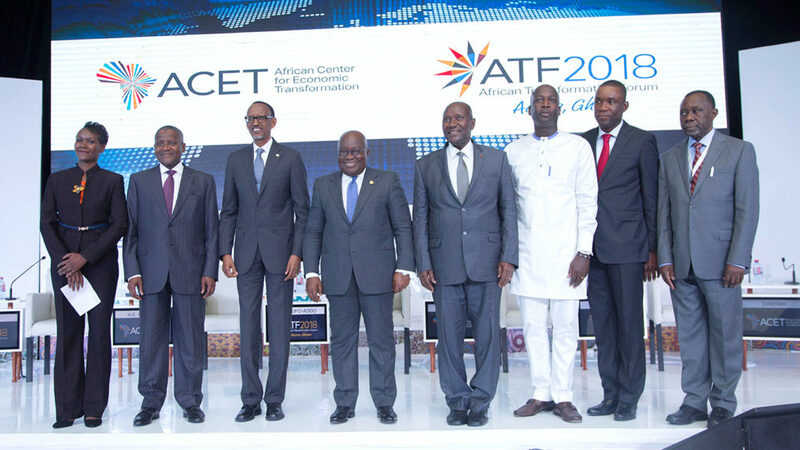 ATF2018, organised by the African Center for African Transformation (ACET) and co-hosted by the Government of Ghana on 20-21 June in Accra, drew more than 300 representatives of African governments, private sector, civil society and international development partners. “We will have a 53% increase in continental trade if the CFTA is ratified,” Songwe said, quoting ECA analysis, which she said meant that the continent would be producing more and selling more. “We don’t only want to sell but to produce value, and we produce a lot more value when we sell among ourselves.” – Dr. Vera Songwe. Among a broad range of topics covered, illicit flows and the African Continental Free Trade Agreement (CFTA) were the two given the greatest attention by the two panellists and also drew questions from the floor. The agreement to establish the CFTA was signed by 44 of the 55 African Union (AU) member states on March 21 in the Rwandan capital, Kigali. Early in the dialogue, dubbed “Transformation Perspectives” and moderated by BBC presenter Sophie Ikenye, Minister Ofori-Atta called for “an honest dialogue between us as citizens” to tackle issues including illicit financial flows. Taking up this theme, Dr. Songwe noted that it had been 10 years since the expression “illicit flows” came into use, spurred by the world financial crisis in 2008, when the US began a charge to dismantle tax havens. Both speakers quoted the Thabo Mbeki High Level Panel report on illicit financial flows from Africa, which estimates that Africa is losing in excess of $50 billion a year to illicit flows. The report makes the startling claim that over the past 50 years, Africa has lost more than $1 trillion, equivalent to all the official development assistance received during the same period. Africa can address the problem in two ways, Dr. Songwe said: “Work to get the stock back, and ensure the flow is stemmed.” She urged African nations to sign tax transparency treaties or tax exchange programmes. She said without these signatures, continental bodies such as the ECA lacked the legal right to information about transfers between countries. Although Nigeria had succeeded in bringing back some wealth illicitly exported during the Abacha period, it was rare to find countries doing this, given that treaties hadn’t been signed. She said it was important to use technology to follow the flow of illicit transfers. Transfer pricing is the price at which related companies transact business with each other and can be abused through trade misinvoicing. On the other hand, base erosion and profit shifting refer to tax-evasion strategies used by multinational companies to shift profits from high-tax countries to low-tax locations. 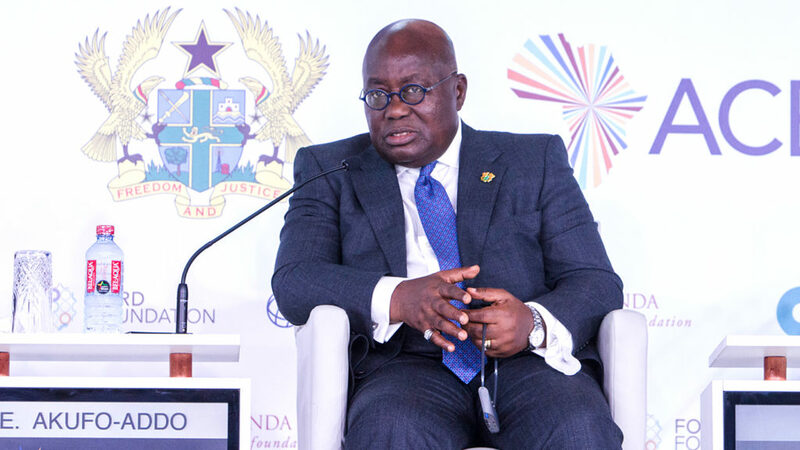 “If ODA [official development assistance] facilities and donor returns are diminishing, then truly we should find ways to make sure that African nations keep what they deserve to keep,” Ofori-Atta urged. To a question from the floor about UN modalities for checking abusive transfer pricing by multinational companies, Vera Songwe said that the UN had the advantage of setting international norms and standards and was working with the Financial Stability Board, based in Switzerland, as well as with the Organisation for Economic Cooperation and Development (OECD) to set standards on transactions. The OECD, headquartered in France, is a group of 34 member countries. 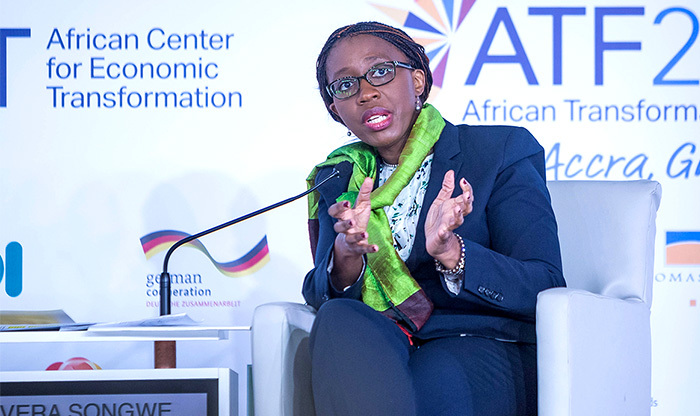 As the focus thus moved to the CFTA, Vera Songwe noted that while in its current early phase, the CFTA was about the movement of goods and people, “in the second phase, we’ll start talking about standardization of investment policy” and there squarely the issue of base erosion and profit shifting would be faced, she said. 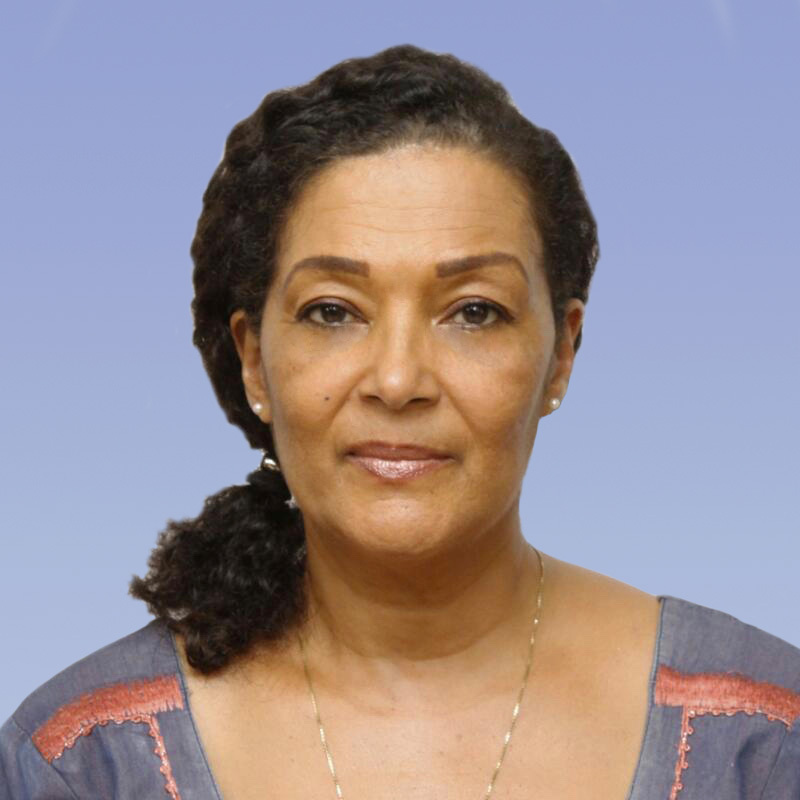 Part of the problem was what she termed “competition across geographies for investment” and a “race to the bottom.” She said the CFTA would replace this with a uniform investment platform on the continent and “more transparency”. The UN was doing its part to achieve this through global advocacy to ensure standardisation in processes of accounting, which Songwe said were key. She described part of what the CFTA represents as “trade in services across borders” and said technology was helping “in amazing ways” the ability to trade across borders and “move goods without moving people”. Photo: UN Economic Commission for Africa’s Executive Secretary, Dr. Vera Songwe. To a question by Ikenye about the impact on the CFTA if large economies such as Nigeria refuse to get on board, Songwe referenced the work in countries such as Ghana on digitalisation and payment systems. “The bigger countries will realize that if they don’t come with the game, they may not make it,” Dr. Songwe said. For the CFTA to come into force, 22 countries must ratify it. “We’re sending our teams to every country over the next six, seven months to get the 22 countries,” Songwe said, raising her hands to applaud Rwanda, Ghana, Kenya and Niger as the first four countries to ratify the CFTA. A speaker from the floor, Emmanuel Bensah of XYZ radio’s Africa in Focus show, raised a question about efforts to bring about visa-free regimes. A reported 27 countries signed the free movement protocol in Kigali in March. He asked why countries that host pan-African institutions such as the AU in Ethiopia and Pan-African Parliament in South Africa, still require entry visas. Bensah noted “serious concerns about the CFTA” among countries, such as Nigeria, which were already worried about the likely impact of the Economic Partnership Agreements (EPAs). EPAs are trade and cooperation agreements between the European Union and various economic communities within the African, Caribbean and Pacific (ACP) group. In some sub-regions, notably within Africa, agreements have taken years to negotiate amid concern about the phasing out of tariffs and European subsidies on agricultural products exported to ACP countries. Bensah asked how it would be ensured that African countries sign a CFTA that offers 90% liberalisation when countries are already resisting 80% liberalisation under the EPAs. 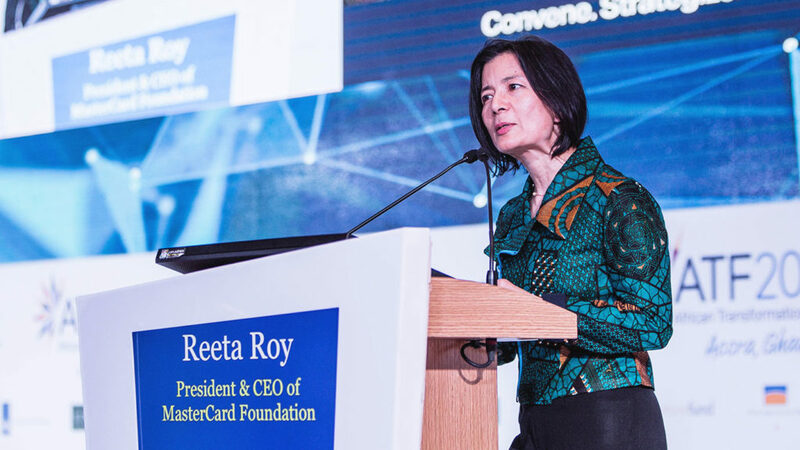 In response to the first part of the question, the ECA boss said that to her knowledge, visa on arrival had been introduced in Ethiopia in May and therefore the country was moving in the direction of opening its borders. Ethiopia hosts both the AU and the ECA. On the question of the EPAs, she noted that the COMESA-SADC zone already has a tripartite free trade agreement covering 80% of tariffs. Bemoaning the “tendency to hold ourselves back,” the ECA executive secretary described the EPAs as having started with a “very good objective”. She said that Africa should be looking at 95 percent liberalisation in line with World Trade Organisation standards. “We started at 80% with the EPAs, we have 90% with the CFTA, and hopefully we will get to 95% and be in the global norm”. “As Africa grows stronger and its enlightened self interest wins recognition, the West must begin to look at a different engagement with Africa.” – Min. Ken Ofori-Atta. The hour-long dialogue between the two rising stars of the development world covered several other topics including financing local content and value addition in the extractives sector, the demographic dividend, skills training and job creation, and ended with a perceptive point by Vera Songwe about the importance of land reform for agriculture and for women who make up 50 percent of Africa’s population but lack access to economic empowerment opportunities.